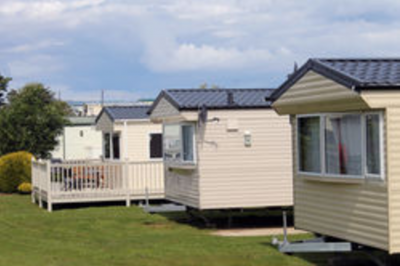 A Mobile Home Park is a temporary or permanent for mobile homes that provides areas with pad sites to accommodate travel trailers or mobile homes. These travel trailers or mobile homes are connected to utilities necessary to operate the home. Typically, the wheels and hitch are removed to meet the definition of a park home placed on a pad.